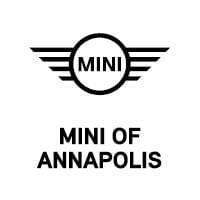 BMW of Annapolis is excited to offer this 2019 MINI Convertible. This MINI includes: PREMIUM PACKAGE Fog Lamps HD Radio Tires - Front Performance Aluminum Wheels Auto-Dimming Rearview Mirror Daytime Running Lights Satellite Radio Tires - Rear Performance Premium Sound System Headlights-Auto-Leveling CONVERTIBLE WIND DEFLECTOR BLACK BONNET STRIPES SIGNATURE TRIM Keyless Start Transmission w/Dual Shift Mode Tires - Front All-Season Heated Front Seat(s) Power Door Locks Keyless Entry A/T 6-Speed A/T Tires - Rear All-Season *Note - For third party subscriptions or services, please contact the dealer for more information. * The 2019 MINI Convertible Cooper Convertible continues to beat the competition in nearly every way. A sporty driving experience that still maintains impressive levels of ride comfort, along with an exceptional, driver-focused interior make the MINI a recommended pick among convertibles. This is about the time when you're saying it is too good to be true, and let us be the one's to tell you, it is absolutely true. This is the one. Just what you've been looking for. We look forward to seeing you soon! Please call us for more information. This outstanding example of a 2019 MINI Convertible Cooper S is offered by BMW of Annapolis. This MINI includes: WHITE BONNET STRIPES ICONIC TRIM REAR BIKE RACK PREPARATION UNIVERSAL GARAGE-DOOR OPENER MINI YOURS SOFTTOP *Note - For third party subscriptions or services, please contact the dealer for more information. * Drop the top and have some fun in this well-appointed, sporty convertible. Stylish and fuel efficient. It's the perfect vehicle for keeping your fuel costs down and your driving enjoying up. Beautiful color combination with Caribbean Aqua Metallic exterior over Satellite Gray interior making this the one to own! We look forward to seeing you soon! Please call us for more information.